This set is professional, modern and suitable for any business who is after an elegant presence. Download is a Letterhead, complimentary slip and business card (back and front). 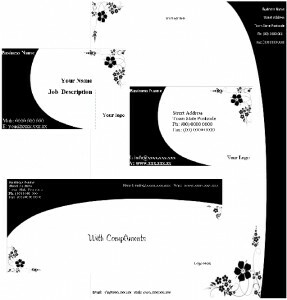 Set includes: Publisher templates and PNG files, downloaded in a ZIP format ready for you to edit.